There are some holidays that seem tailored perfectly for some business’ promotional giveaways and other marketing strategies. There is one such day in September that seems like it was created specifically for restaurants that sell pizza. According to Foodimentary, September 5 is National Cheese Pizza Day, which recognizes one of the most popular meals in the United States. Sales have been trending upward recently. 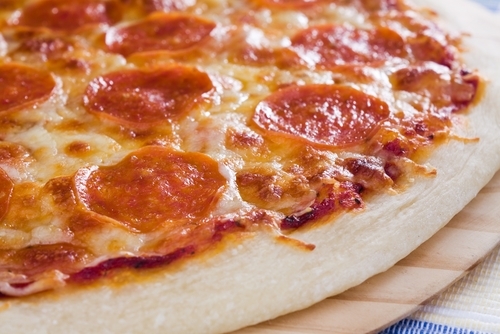 PMQ Pizza Magazine reports that the pizza industry grew by 1.6 percent in 2012, highlight how much consumers love eating warm slices at every opportunity. Further, Technomic, an analytics firm that focuses on the food sector, believes that custom orders will become popular in the near future. Executive Vice President Darren Tristano noted that this trend has already caught on with another food. “The ‘better’ trend seen in ‘better burgers’ will also drive ‘better sandwich’ and ‘better pizza’ concepts. Not only are made-to-order pizza concepts delivering better quality and fresher ingredients, consumers are able to create their own pizzas that are ready within minutes, a proven recipe for success within the fast casual space,” Tristano said. The pizza industry is a competitive one, and will become even more so if Technomic’s prediction comes true. Restaurants that serve the dish should capitalize on National Cheese Pizza Day in order to gain a marketing advantage over other establishments. Read on for a look at some ways restaurateurs can turn the food holiday into a marketing success. Some small business owners have found success by forming partnerships with other companies. For instance, Miriam Silverberg, who owns three restaurants, told FSR magazine that she cold calls nearby enterprises in order to boost sales. “I’m looking around for businesses that are near the restaurant, feeling that they need to take people out for lunch or dinner and need to have parties some place. So I go through the phone book and make a lot of calls,” Silverberg said. This is a strategy that other restaurateurs can replicate, especially as National Cheese Pizza Day approaches. Owners should call other company leaders to alert them to special promotions for the holiday. Cold calling might not seem like a strong approach, but it can yield long-term benefits. For instance, if an organization chooses a restaurant as its regular caterer, then that establishment knows it’ll have consistent sales thanks to the partnership. Of course, promotional giveaways are extremely effective for holiday marketing. Restaurateurs can distribute small gifts on National Cheese Pizza Day to attract hungry consumers and increase sales. Unique promotional products are tangible reminders that customers will use for extended periods of time. As a result, they’ll develop brand recognition and become increasingly likely to visit a restaurant again the future. Small presents like promotional key chains and pens are ideal because they have everyday functionality so consumers will keep them for months or years. Promotional wall calendars may be the best items to distribute on National Cheese Pizza Day because they have long-term marketing impact. The sponsored products last an entire year and can lead to improved business for that period. Restaurateurs can include other marketing tools in their calendars to bolster brand equity. For instance, coupons can be printed on every page so customers have to come in at least once per month to receive special discounts. Alternatively, unique QR codes can be emblazoned on the pages so dinners can access deals with their smartphones. Capitalizing on National Cheese Pizza Day should be a priority for every eatery that serves pizza. Take-out joints and fine-dining establishments can all benefit by using the holiday for marketing purposes.